The Accelerated Learning Programme of Study (ALPS) is a new one-year intensive English course for students aged 13-18. How is it different from the mainstream curriculum? What is it like to be on the course? Find out below! Have you ever heard about ALPS? Then, have you ever seen them? The BSG Accelerated Learning Programme of Study (ALPS) is a brand-new course, just started in August, so it is only natural that not many of you know about it unless you are in secondary or sixth form. If you are, then you might wonder how it is different from the mainstream year 10 and 11. ALPS는 작년 8월에 처음 시작한, 영국 중등 2년 과정인 IGCSE를 1년 안에 끝내고 고등 과정 A Level 에 들어가기 위한 BSG의 파운데이션 과정입니다. 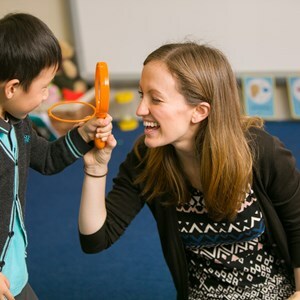 To give you more information, we have interviewed Ms Shaila, previous head of EAL and now head of ALPS, to get the answers to frequently asked questions about ALPS! 이번에 처음 시작하는 만큼 ALPS 에 대한 학부모님들과 학생들의 관심이 쏟아지는데요. 밑에는 ALPS의 총 책임자인 Ms Shaila 와의 인터뷰입니다. 1. Can you introduce yourself? 간단한 자기소개 부탁드립니다. I am Ms Shaila, head of the ALPS. I’ve worked at BSG for 11 years and I was the head of EAL (English as an Additional Language) before. I am also an English teacher for ALPS. 저는 Ms Shaila이고 현재 ALPS의 총 책임자이자 영어 선생님입니다. BSG에서 일한 지 11년이 이제 11년이 되었으며 전에는 EAL 프로그램을 지휘하였었습니다. 2. How are ALPS students chosen? ALPS 는 어떻게 뽑히나요? Just like any other students in BSG, ALPS students took an entry test. 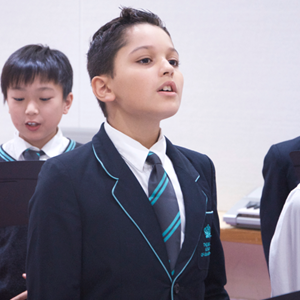 Based on their entry test score, age (13~18), and future ambitions, the admissions office recommends this programme, case by case, not only to new students but also to former students who wished to finish IGCSE and go into A Level in a year. ALPS 학생들도 여느 다른 BSG 학생들과 똑같이 입학 시험을 보았고 이 성적과 나이 (13살부터 18살), 미래 목표에 따라 학교에서 이 프로그램을 맞춤 추천하였습니다. 3. What do ALPS students study? ALPS 에서는 무엇을 공부하나요? 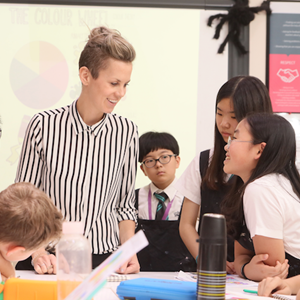 ALPS students will study IGCSE ESL and MATHS as well as other IGCSE subjects, for example, Science, Business Studies & Economics, Computer Science, Music, and P.E for a more dynamic academic life. ALPS는 학생들의 영어 실력을 영국 고등학교 수준으로 끌어올리는 것에 초점을 두고 있습니다. 1년 동안 ALPS의 학생들은 영어와 수학에 집중하며 동시에 보다 다양한 배움을 위해 영어와 수학 뿐만 아닌 과학, 경제&경영, 컴퓨터, 음악, 그리고 체육 수업에도 참여할 것입니다. 4. Will they take IGCSE? ALPS의 졸업 조건은 무엇인가요? Yes, they will take IGCSEs with year 11s except that they will only be taking IGCSE ESL and MATHS, two mandatory subjects in IGCSE. With a minimum score of ‘C’, they will successfully graduate ALPS and be ready to go. 영국 중학생들은 2년 동안 GCSE를 공부하고 11학년에 시험을 봐 A Level에 들어갑니다. 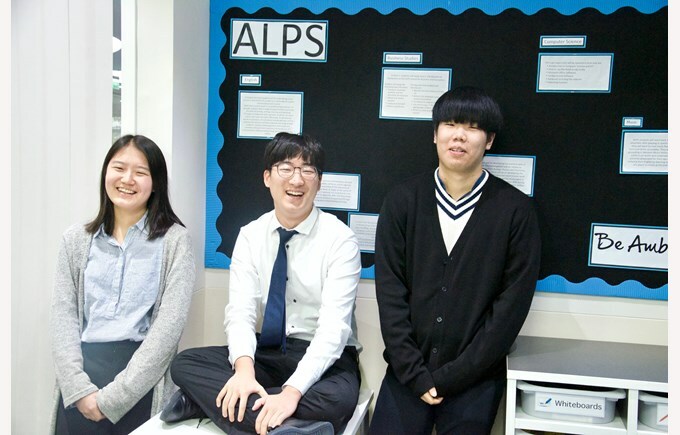 ALPS를 졸업하기 위해서는 IGCSE 영어와 수학을 봐서 최소 ‘C’ 를 받아야 합니다. 다른 과목들을 보지 않는 이유는 영어와 수학만이 IGCSE 필수 과목이기 때문입니다. 5. If they’re studying IGCSE right now, why are they in year 12? 내년에 11학년과 함께 12학년이 된다면 왜 지금 12학년에서 공부하고 있는건가요? It was for an integration purpose. This programme was created to make them ready to join the sixth form and we were worried they might be overwhelmed by the life there after graduating ALPS. If ALPS could share everything, including smart business dress and free periods, with other year 12s, it would be easier for them to integrate more quickly to the life of older students. 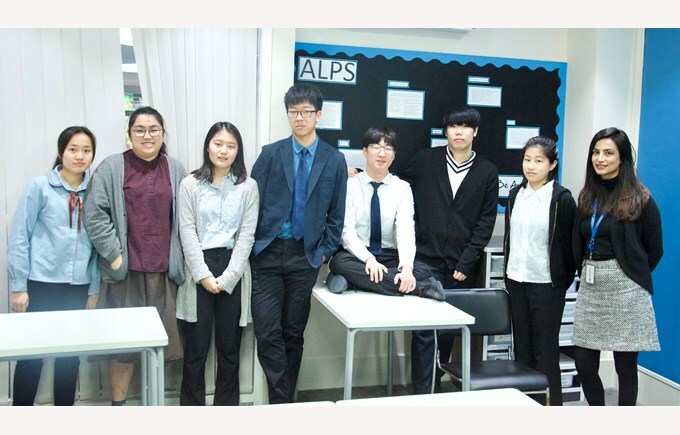 To sum up, ALPS is BSG’s one year intensive English course, composed of a small group (max of 10 students) and currently, 7 students, taught by specialists in each subject, aiming to enhance participants’ academic English to a sufficient level that will be able to meet all needs of A Level. ALPS는 BSG의 1년 영어 집중 코스이며 최대 10명, 현재는 6명의 소수정예 학생들이 공부하고 있습니다. 다양한 과목을 주요 선생님들에게 배울 수 있으며 영어를 단기간에 늘릴 수 있다는 큰 장점이 있습니다. Getting adapted to a new environment is always a hard work. But as people live their life, they will have to face a lot of situations where they will have to adjust to a new environment. In my case, I came this school (BSG) last week so everything was unfamiliar and awkward to me. 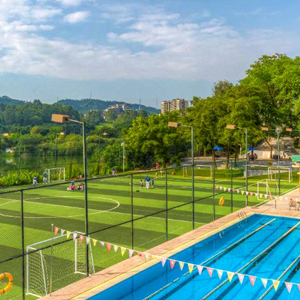 In Korea, I’ve adjusted pretty well to quite many new environments - I have started new schools, been to different English academies and joined activities like basketball club. And I think the reason I was able to is because Korea is my hometown and there are many people around me who were able to help me. It is easy to communicate and we are all from the same system and background. But here in Guangzhou, especially in an international school, I thought that it would be pretty hard for me to get used to it. The reason is that I don’t know any people, I don't know how the system works, and I now have to consider 3 languages! So, I thought there’s no one who can help me. However, my prediction was completely wrong. My group is called ALPS and there’s 7 students including me and two of them are Korean students. And they helped me a lot. Teacher told Jenny, who is one of the Korean students, to help me through the first day of my school. So, thank you to Jenny - she is the person who helped me to adjust at the first time. And also, many teachers asked me how my first few days at the school were. I feel quite thankful to everyone for caring about me and for helping me. On the other hand, when I first came here to take the interview, my first impression of the school was that is was quite impressive. I think it’s because of the school’s beautiful atmosphere that can’t be seen at the Korea local school. there is a lake beside the school and there are a few buildings. All schools in Korea have only one building so that was really unconventional for me. Everyone was also very friendly. Because of these impressions, I really wanted to attend this school. So far, I am completely satisfied with my new school, and thanks to this experience, I feel confident I can adjust better in my new environment next time.